We all have to deal with ‘em (unless you’re working exclusively on instrumental music). Some days recording vocals in your home studio seems easy peasy. Other days it makes you want to throw your computer out the window. It may seem overly obvious, but do you always reach for your most expensive mic for every vocal you record? Or maybe you always use a condenser mic and never a dynamic? I’ve had plenty of sessions where the unlikely mic choice became the hero. Some days the $100 handheld dynamic is a better choice than the $800 tube condenser. You won’t know unless you try ‘em both. You’re just gonna have to trust me on this one. If you’ve never treated your room acoustically, you don’t even realize how much of the room sound you’re capturing in your vocal recording. A while back, I posted before and after audio clips of a vocal recording done before and after treating my studio at my last house. If you didn’t hear the vocal from the treated room, you might have thought the untreated-room recording sounded fine. But when you hear the difference, it’s shocking how much tighter and “present” the second recording is. Take care of the room sound, and listen to your vocal recordings INSTANTLY improve. This is another one you might try to fight me on, but just try it…please. Instead of having the vocalist sing from 2 inches away from the mic (like you see in all the super-cool microphone ads), have the singer back up to 8-12 inches. By the way, want to hear what a great-sounding vocal recording sounds like? 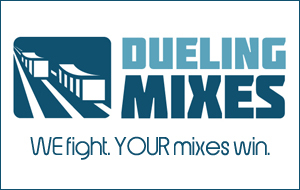 Check out this month’s song over at Dueling Mixes. Graham recorded a KILLER vocal track. It almost literally mixes itself.